A common critique of studies like this is that they are on un-trained young men. This one wasn’t. “Our data show that in resistance-trained individuals, load, when exercises are performed to volitional failure, does not dictate hypertrophy or, for the most part, strength gains” (p. 129). Examples of this in the real world: Scott new guys with way better world-class physiques than he had… and they were doing dumbbell bicep curls with 20 lb. dumbbells when Scott was using 50s. And Scott was never known as a “strong” guy. 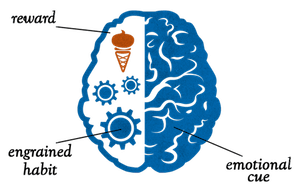 For Scott, this supported a few of the most important tenets of Innervation Training — far more than load, what is important is the angles of contraction, the excitation thresholds of the CNS, the intensity of the contraction, etc. “Movement speed is not essential as long as the intent of the contraction is explosive” (p. 270). The study compared high reps versus low reps, to failure. Interestingly, the “high reps” was 20-25 reps (the weight at ~30-50% of the subjects’ 1-RM) and the so-called “low reps” was ~8-12 reps (with the weight at about ~75-90% of the subjects’ 1-RM). “In congruence with our previous work, acute post-exercise systemic hormonal rises are not related to or in any way indicative of RT-mediated gains in muscle mass or strength” (p. 129). …and interprets it as a knock against the supplement industry (i.e. pre, peri and post-workout stuff). 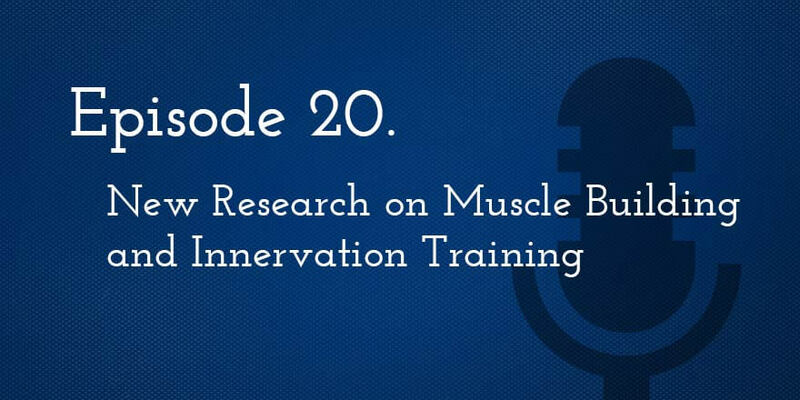 Scott and Mike went through a few key terms: Motor Units, Excitation Thresholds, Functional Differentiation, Segmented Utilization of Muscles in Action, and so on. See SSP Episode 2 for more on these, and the innervation primer (linked below). Interesting episode. I just wonder how important the aspect of “volitional failure” might have been for hypertrophy in this study. Is failure necessary to reach high threshold motor units? Or does more volume do the same trick? I know that Scott refrains from writing failure into his programs (and Bill Pearl didn’t think it is necessary and more harmful, too). So I kinda know his answer. But it seems to me that the researchers are only confident that the same amount of hypertrophy will occur if the sets are taken to failure. Great article as always.. Does a individual trainee with more fast twitch fibers need to train differently than one with more slower twitch fibers or is this also a matter that has been over rated by the status quo ? 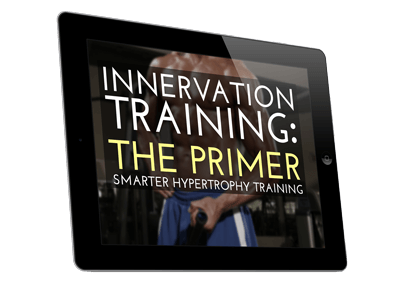 If not do you combine both methodologies 15-20 reps and 8-12 reps during a program like in the hard gainers solution…Thanks for your insight….and professionalism….